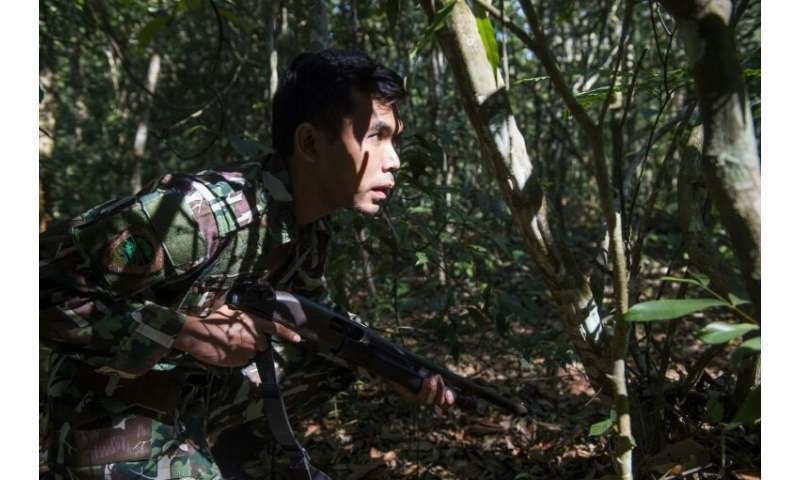 Camo-clad rangers ambush a camp in a lush Thai national park, kicking away a machete and a firearm and pinning two suspected poachers to the ground—part of a training exercise to counter a lucrative wildlife trade. "Go!" team leader Kritkhajorn Tangon yells as the group tackles the actors, who had near them sambar deer antlers and a blade covered in fake blood. Thailand's conservationists are struggling to stamp out the multibillion-dollar black market in animal parts, finding themselves outgunned by illegal hunters and outflanked by courts. The country is a key transit point for smugglers moving on to Vietnam and China, two of the world's biggest markets for parts from endangered and protected species. 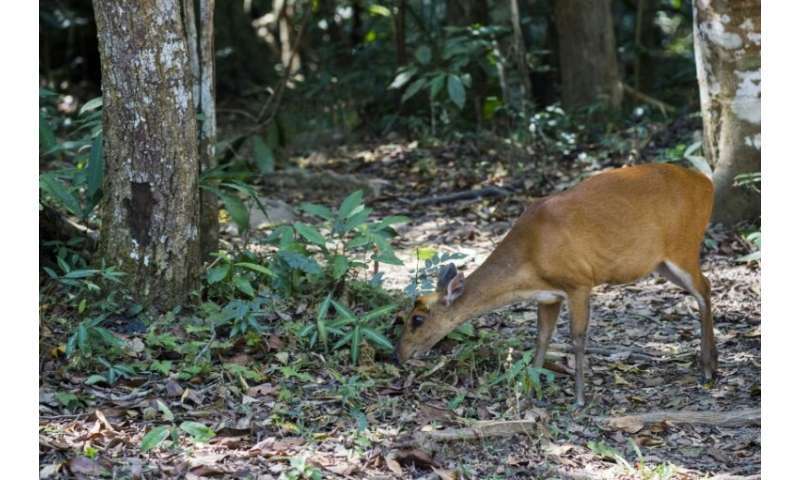 Among the participants in the event at Khao Yai National Park, which culminated in Friday's mock scenario, were four officials from neighbouring Cambodia and Laos. 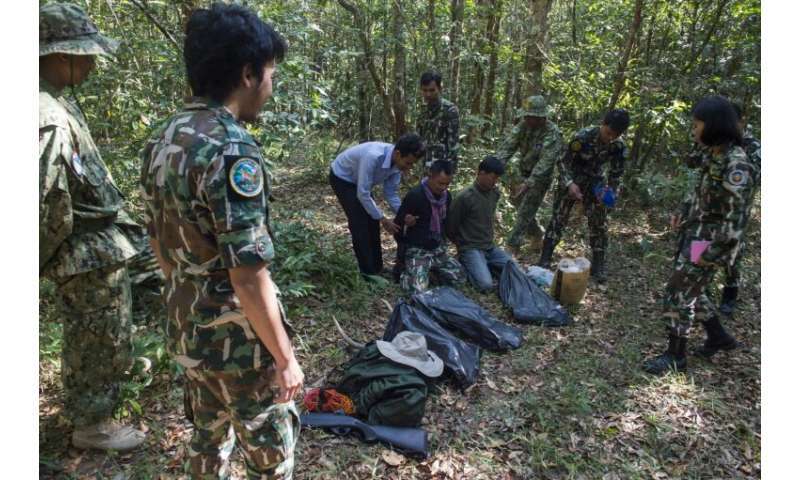 "Our investigation skills are still weak... when they (rangers) encounter these situations, they leave loopholes in the collection of evidence," Kritkhajorn told AFP. "It could result in the suspect walking free." Freeland has emphasised the need for material evidence as "it cannot be manipulated, whereas an eyewitness can retract his testimony", said country director Petcharat Sangchai, a retired police major-general. A successful conviction has to be handled "correctly from the forests to the courts", said Freeland's program director Tim Redford, adding that widespread wildlife poaching and smuggling involves transnational organised crime rings. "These criminals are exploiting loopholes in the law, they are exploiting weakness of understanding in judges and prosecutors, and that's why they are winning," he said. Animal carcasses—including a rare black leopard—and guns were found, but Premchai, one of Thailand's wealthiest moguls, denied he was poaching and was released on bail. The tycoon's case was at the forefront of all the participants' minds on Friday as the clearest example of what the rich and powerful could get away with in Thailand. "If you know who my boss is, you'll get shivers! My boss is Premchai!" shouted one of the "poachers" during the exercise, as the rangers laughed in a moment of levity.